Six Waterford Institute of Technology (WIT) students from the Department of Science in the School of Science & Computing travelled to University College Dublin (UCD) to take part in a debate on the topic “Brexit will be good for the Irish Agri-food industry”. 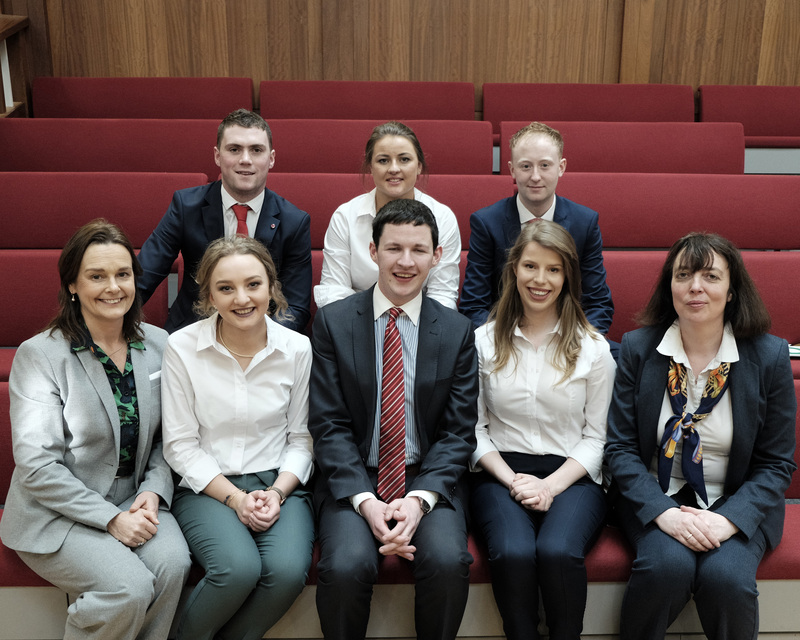 The students were in competition with students from the UCD School of Agriculture and Food Science with the moot taking place in the Garret Fitzgerald debating chamber. The BSc (Hons) Agricultural Science speakers from WIT included team captain William Delaney, Eva Hayes, Shane Burns and Eilish Lawlor. Accompanying the speakers were alternative researchers Simon Delaney and Denise Ryan. The WIT team debated in favour of the motion and lost out to UCD after the judging panel, which was made up of Chief Executive of Dawn Meats Niall Browne, CEO of Bord Bia Tara McCarthy and Managing Director of McDonald’s Ireland Adrian Crean, voted in favour of UCD. The debate was sponsored by Dawn Meats and moderated by Editor of the Irish Farmers Journal, Justin McCarthy.